After five years apart, Tom Sheffield is shocked to find his ex-wife, Stephanie, on his doorstep. The news that they share a child he’s never met sends him reeling. Four-year-old Macy has his eyes, his mouth and, from their first encounter, his heart. Things with her mother are much more complicated. He doesn’t understand what went wrong between them or why she kept their daughter a secret. And he’s afraid of falling in love all over again. Yet he feels a glimmer of hope that somehow he can convince Macy and Stephanie to stay in Lake Endwell—and with him—for keeps. Interested in reading Unexpected Family at your next book club? Download the printable Discussion Questions below. 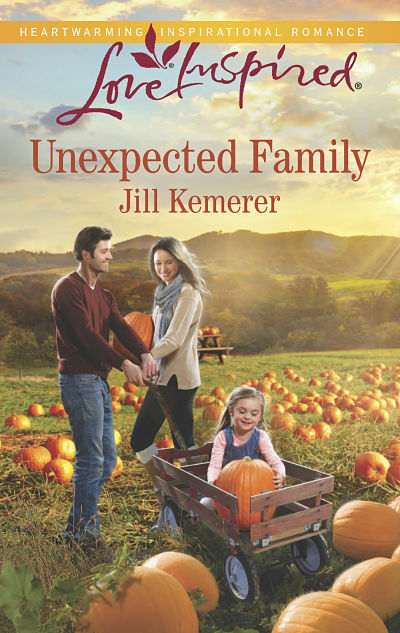 Unexpected Family was included on Inspy Romance’s “Ten Delightful Stories to Savor This Season.” Stop by for the full list!